WORKING WITH FAMILIES TO CREATE CHAMPIONS IN THE RING AND IN LIFE. We are junior focused. We feel strongly that the junior livestock programs are full of life building lessons. WSCC strives to provide opportunities not only to our customers, but all juniors alike. We have had the opportunity to work with some of the best families in the country. We enjoy watching you all grow in the showring. We strive each year to offer full customer service, along with camps to help 4-H & FFA exhibitors become better showman. Be sure to take a look at the opportunities that WSCC offers. 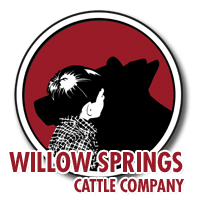 Willow Springs Cattle Co. | 2018 Investment Sale from Paige Wallace on Vimeo.